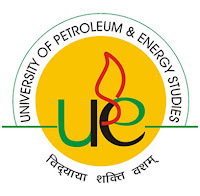 UPES MET 2016 MBA Admission: UPESMET is the Online Management Entrance Test for admission to the MBA programs in the University of Petroleum & Energy Studies (UPES), Dehradun. UPES MET 2016 Exam is the national level test and it has been conducting by the UPES every year. This year also the UPES (University of Petroleum & Energy Studies) is going to conduct the UPESMET Exam for UPES MBA Admission 2016. The University is already published the notifications regarding the UPES MET 2016 Application Form through its official website. It invites the eligible candidates to apply for the UPES MET Entrance Exam 2016. So the Aspirants should verify all the eligibility details in the information bulletin before applying for the UPESMET 2016 Admission for MBA programmes. Indiagrade website providing the necessary details about the UPES MET 2016 Test, Check soon. DD in favour of UPES Fee Account payable at New Delhi / Dehradun. Online Payment done by Credit / Debit / Net Banking. Candidates should have 50% of marks in the 10th, 12th and graduation. Each section have 35 questions and totally 140 questions. Open the official web portal by clicking the link available below. Then Click the relevant link to start filing the UPES MET application form 2016. Enter all the details as per the instructions given in the website.